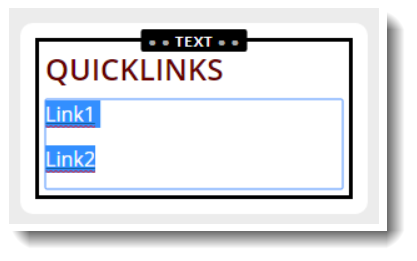 Quicklinks was a style applied to the Rich Text Editor in our old system (SLS1). 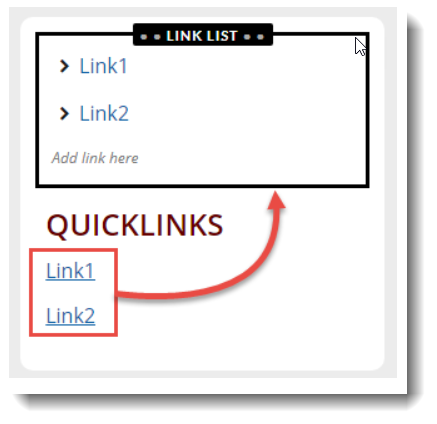 This article aims to guide you on how to convert those links into a new SLS2 Link List Module. 1. Access Site List to get to the web edit page. 2. Select the Text module with the links you wish to convert. 3. Highlight the links to be converted. 4. Click the Links button on the toolbar. 5. List module with all your links will appear above the Text module. Click Preview, Save Draft or Publish your site and test the links.